When I was struggling to find the time - and the desire - to blog, I subconsciously told myself that I will pick up writing again on the 1st of September. And today is the 1st of September. Honestly, I still don't have the will, but in keeping with the necessary discipline within, I know I had to write something. Oh, I have too many topics that I want to blog about, but I'm still not where I want to be, blogging-wise. So, in the interim, I'm going to blog about something that has always been close to my heart; something that, for better or worst, rightfully or otherwise, I will always be synonymous with. Seriously though, I am retired from competitive collecting. Granted that my current collection would last me a lifetime, and perhaps another generation, but albeit retired, I still did buy a few pairs here and there. Any collector worth his/her salt will tell you, that it's not easy to move away from the game, bonafide collectors will vouch that sneaker collecting is a form of addiction. I believe it is. 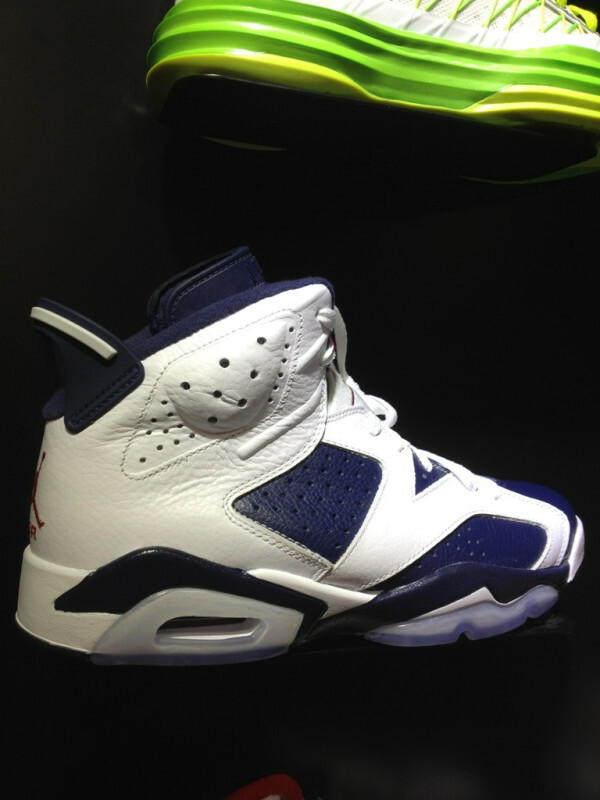 To those who don't know, the above is the Air Jordan VI Midnight Navy/Varsity Red-White colorway, or simply referred to the as the Air Jordan VI Olympic's. 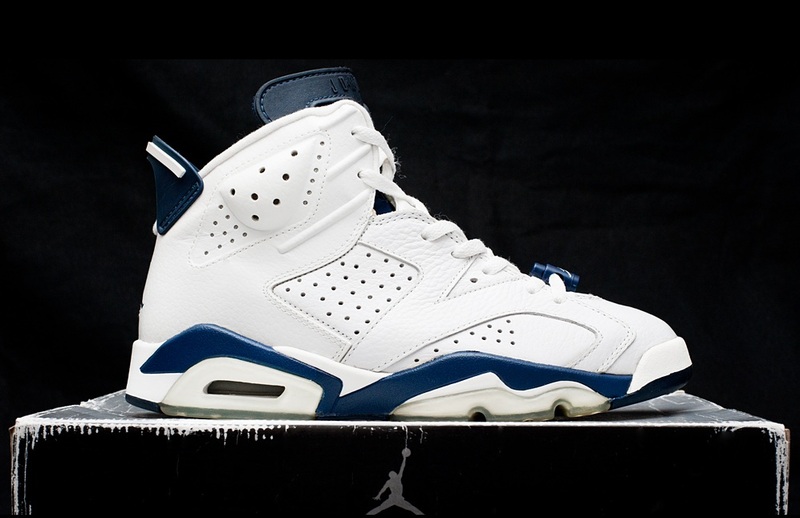 They were originally released in 2000, during the Sydney Olympics. It was a limited release, and a must-cop for all true J-Heads. It only cost USD120 when it was released, but because they were limited, and only a few hundred pairs were made, they currently sell for at least USD500, that is, of course, if you find someone willing to part with their pair. Before I digress, let me get back to what I wanted to blog about. Having been out of the game for quite some time, I didn't even know they were being re-released. I looked at them, I didn't even hold them, I just stared at them. My heart was asking me to go and inspect the pair, and see if they're as good as the one from 2000. But my mind told me differently, that if I entertained the thought of holding them, I knew I would succumbed and cop a pair or two. So, I followed my mind. I left the store and didn't even look back at the pair. When I got back home, I went into the room where I keep my collection, and looked for the pairs I had from 2000. 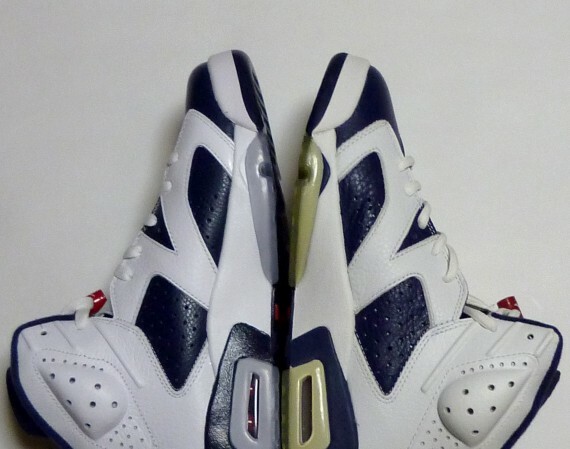 The soles have a slight yellowing to them, after all, they are 12 years old. I have two pairs; one DS, the other was slightly used. I wanted to know if the one I've previously rocked are still usable, and it looked as if they still are. The next, I didn't think of it. 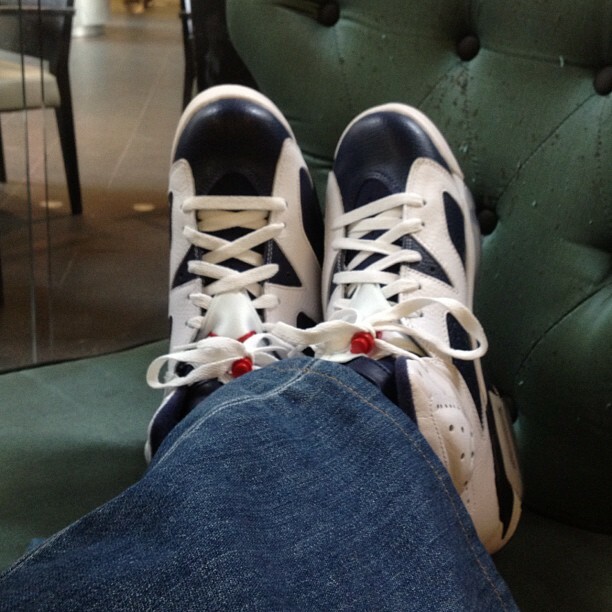 My mind was focused on the project that I was working on, and on other far more important things than a pair of shoe, even if it was an Air Jordan, even if it had been 12 years since the original came out, even if my heart really wanted one. I was trying to discipline myself, at least, that was what I thought. And it was working. But My Small Baby - I guess she knew that I was torn between heart and mind - casually said, "What do you always say? What does your your twitter profile say? Don't you believe in what you say about yourself anymore?" Admittedly, I was blur for a moment. Then I realized what she was talking about. She is, as always, right. I did think with my heart. 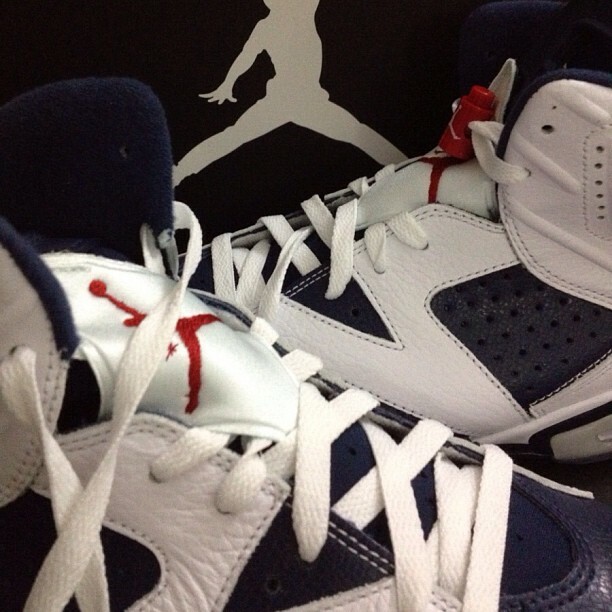 And my heart said to get a pair (or two) and that it's aight if I do. Bottom-line, follow your heart, even if you're not sure whether it's the right thing to do.